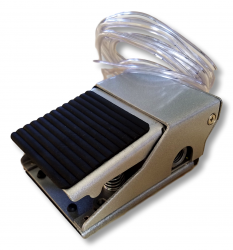 This pneumatic foot control is used with any compressor that HAS AN AIR TANK. Instant on and off control for quick changing of your bits. Comes with tubing to connect to your engraver. This is a heavy duty foot control.